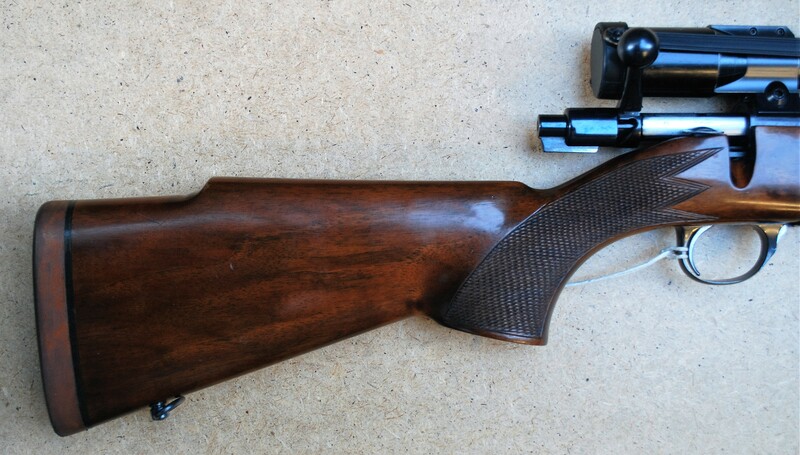 .243 Bolt action Rifle from one of what many regard as amongst the 10 best rifle makers in the world, of all time ! David Lloyd of Pipewell, England. This man actually designed and produced the .244 Magnum which was later passed to and adopted by H olland and H olland of London….. He wanted to concentrate on larger magnums to satisfy and excell at his passion for stalking the open hills of Scotland where he required rifles with excellent long range capabilities and complete reliability to maintain zero. His ‘ concept ‘ was to build the rifle to the scope instead of merely adding a scope to the rifle. Once set up there should be no need to ever alter anything ( as long as the same ammunition is produced and used ). Apparently as years went by customers kept requesting lighter caliber rifles for use in lowland / woodland setting etc. and 8 original rifes were found in storage chambered in.244. As popularity had somewhat wained by then it was decided to re-barrel them in .243. These were built on the traditional M auser GEW 98 actions and proved VERY popular so a further 6 were produced but this time on lighter and more suitable S a k o actions. ANY original Lloyd rifle is RARE these days but to find one of only 6 ( S a k o action ) or 14 in total is just about impossible ! Certainly a collectors piece as well as investment but also a rifle to shoot and enjoy too so the best of all worlds ! All that said, 6 weeks before securing this a second Lloyd .243 was aquired with a serial number only two digits higher so any genuine buyer has their choice from two ! 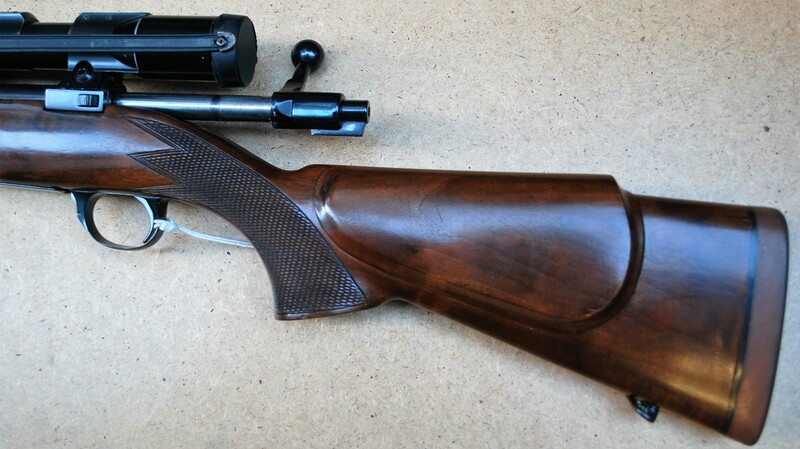 This is a slightly ‘ lighter build ‘ to rifle 263 with a thinner / slimmer stock…. (to suit a smaller hand more than actual weight ) and comes complete with original S warovski 4x Scope and Patented David Lloyd mounts. Trigger set to a nice 3lbs 6oz at present.